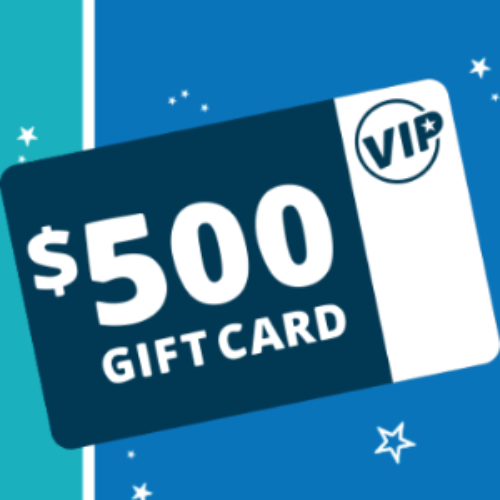 You can enter the VIP Sweepstakes from Zappos for your chance to win a $500 Zappos Gift Card. You can use the gift card to purchase shoes and apparel for men, women and kids from your favorite brands at Zappos. Then you can come back each month for a chance to win a new VIP prize. Entry ends March 31, 2019. Admittedly I don’t get out much, but for some reason I thought Zappos only sold women’s shoes. I was pleasantly surprised to see that they not only carry shoes for women, men, and kids, but also apparel too. That means if you were to win this gift card you could really outfit the whole family. Then again, you could always claim they only sell women’s shoes and set yourself up with a floor to ceiling closet full of shoes, you know what I mean ladies? That’s not really fair to say, as I know some of you men are shoe addicts too. Zappos Stocks Men’s, Women’s and Children’s Shoes & Apparel! Browsing around the Zappos site I see that not only do they sell shoes for every occasion, casual, formal and everything in between, they also have clothing for all situations, activewear, swimwear, jackets, and even “intimates”. And that’s not all, they also have a thorough selection of handbags, purses and wallets, all from major name brands including Lacoste, Tory Burch, Kate Spade, Vera Bradley, and many more. For a place that I thought only sold shoes, Zappos is really your one stop shop for fashion and accessories. If you win and you must spend some of the dough on a man in your life, or if you are a man who is unwisely spending the gift card on himself instead of a woman in your life, you’ll be chaffed to find everything from sneakers to oxfords, jeans to hoodies, wallets to belts, and everything in between. The shoe brands include Vans, Timberlands, Sperry, the North Face, Rockfort, Steve Madden, and Cole Hann. The jeans brands are Levis, Wrangler, Lucky, Tommy Bahama, really just too many to list. And if you’ve got one of those “mini me’s” still tearing through clothing and shoes like a wolverine, you’ll be please to find that Zappos carries children’s duds too. Once again it’s everything from shoes for the yard to clothing for taking them to holidays with grandma. They really do stock a little bit of everything for boy’s and girl’s alike. Entering to Win this Zappos Gift Card is Fast & Easy! Entering this contest is easy, they just want you to sign up to their VIP email list, whichf you can always unsubscribe from at any time. Speaking of which, I want to encourage everyone to go ahead and unsubscribe from any email lists you’ve inadvertently joined in the course of signing up for sweepstakes. I often hear that my subscribers boxes are so full they find it hard to sift through and find Granny’s emails. We can’t have that now can we! Every legitimate company will include some kind of an “unsubscribe link”, usually at the very bottom, of every email they send. Don’t be afraid to use it! You could take 5 – 10 minutes to comb through your email box and remove yourself from the lists of the companies you’re not interested in and save yourself hours of sifting through emails in the future. Most companies don’t require you to stay on their email list to be a winner, but some do, so I usually wait until the contest is over to unsubscribe. But whatever you do, make sure you don’t unsubscribe from Granny’s emails or you won’t get any more awesome contests like this one from Zappos! Waiting for a miracle!Thank you.